Eleganta by Denny Swartzlander is my February and first Kindle Pick of the Month. In a way, this is an experiment. First time writers publishing in the Kindle store either (1) couldn't get their novel published by a traditional publisher or (2) didn't submit to a traditional publisher. Either way, the traditional publishing route, which some people feel is pretty important to boosting quality, has been circumvented. So, the experiment is to see if self-published eBooks meet the same quality standard as traditional books. The titular character, a garden fairy, has just given birth to a baby, an occurrence not seen in over a decade. It is quickly decided that the baby must be brought to the fairy queen for protection, for an invading army of trolls—and one troll general in particular—is hell-bent on capturing her. Seems that the trolls grow sick and die when ingesting the current crop of fairies, so they're consumed (no pun intended) with creating a line of fairies not toxic to them. For reasons which remain unclear to me, Eleganta's baby is the key to this source. So begins a journey for Eleganta, her daughter, and a warrior fairy charged with protecting them that should by all accounts be one charged with suspense and danger. There's plenty of danger (though I never really felt anyone was going to suffer from it) but little suspense. Eleganta and company go from one destination to another, sometimes quickly, sometimes stopping to frolic in the forest, so to speak, all the while chased by a pair of monstrous hound-like creatures. That in itself is a problem: the trolls want the baby alive, so why send a couple of creatures who will probably do nothing less than eat it if they ever capture it? Another point of contention I couldn't get past: fairies fly, yet their villages are walled. Perhaps this is because they've been fighting the army of trolls for some time, so they've simply built their defenses up. But, still, I had imagined a different sort of lifestyle for fairy-kind, one that did not mirror our own so much. In terms of writing, Eleganta varies from above average to below average. Character descriptions sometimes are info dumps, with too much, too soon and descriptions that are too detailed. I prefer to find out the nuances of a character as the story unfolds rather than having information thrown at me straight off. There are parts of Eleganta that are on par with anything you'd read elsewhere. Unfortunately, there are also other sections I felt could have used a bit more polish. The storyline is good enough, though pacing was not the best and the characters are all-too-familiar or just flat. There was no one character I really connected with nor any characters I genuinely wanted to see succeed. Perhaps the most telling sign of all: I couldn't finish Eleganta. I made it halfway. Knowing when to stop reading isn't always easy. In this case, I was having a hard time getting enthused about picking up my Kindle and diving into the story. If that isn't a sign tell me what to do, I don't know what is. 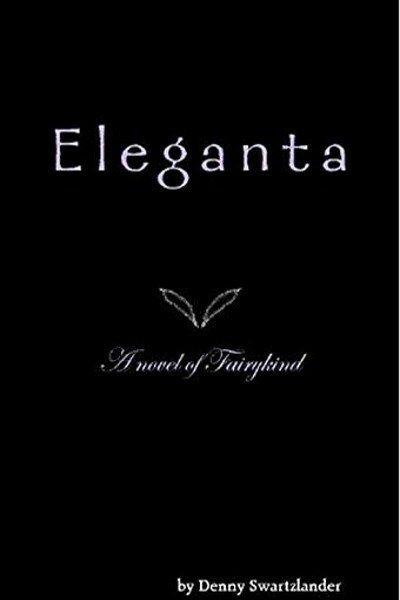 While Eleganta has thus far racked up nine five star reviews on Amazon, I didn't feel it quite met that level. I plan to give it three stars when I post my review there shortly.